An informal Thursday night road-riding club began in 2009 with Neil Dunkley and Dave Fell getting out after work once a week during winter – here the ‘Club route’ was first adopted as the default ‘test’ and it remains the signature Thursday evening ride. The weekly appointment extended to a core group of around 15 riders who met often, but had no fixed responsibilities to each other.  Change came in Spring 2016 when two members proposed that we formalise the existing Thursday night riding group into a British Cycling affiliated club, allowing members to ride, enter sportives and compete under the Moonglu banner. Word quickly spread with increasing demand for an official club. A Committee was rapidly formed and Chairman appointed, along with the establishment of a constitution and ride programme. Affiliations were organised, bank account set up, policies agreed, and Moonglu CC was born! Creation of the club would trigger additional major developments such as; paid membership, club kit, a dedicated website, larger riding groups, more frequent and better-organised rides, and a range of social events. We were conscious of existing local clubs and wanted to avoid aggressive competition for members, so invited riders to come and try us out for free and see how they got on. This approach has resulted in over 100 members joining during the club’s first season - something we’re very proud of. Consequently, there now exists a harmonious association of riders from a number of clubs in the area. We hope to grow the membership at a sustainable rate, allowing us to respond to the increasing demands of larger groups and a wider range of abilities and ages. There is also a constant drive to further refine group dynamics and safety while enhancing the experience for all riders. Our first event – a club Time Trial (TT) is imminent, and there is a groundswell of interest in next year’s pilgrimage to the Paris-Roubaix sportive, along with countless other cycling and social events and trips. The club would like to thank all members for their support, experience and feedback.